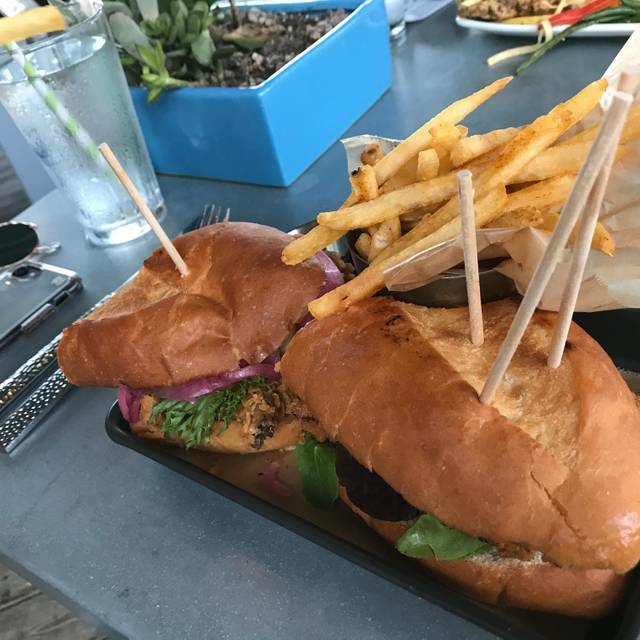 V-Eats Modern Vegan at Trinity Groves is fast becoming the premiere vegan eatery in Dallas, Texas. Amazing plant-based foods for any lifestyle! 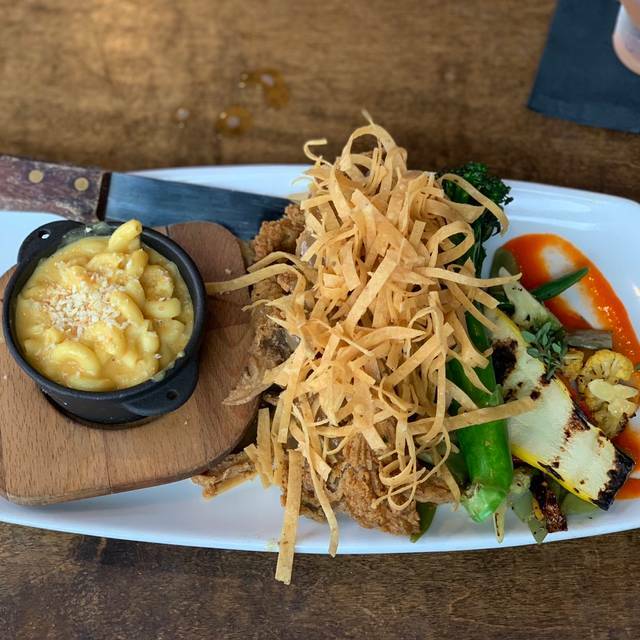 Chef Troy Gardner and his culinary team specializes in crafting succulent plant-based “meats” that will amaze your taste buds. Their clever use of cruelty-free ingredients creates the texture and flavors of meat with compassion. *Contains Gluten. **Contains Nut. ^Contains Soy. They seem to be a little understaffed this time; the kitchen was slower than usual. But food was great!! Food was very good; it's nice to find vegan food in Dallas. However, the service was very slow, even though very nice servers. And it wasn't the food that was slow -- that was to be expected and it is even written on the menu that it may take a while. Getting drinks, or the server to come back by, was very slow. And there were only 4 tables that full at the time we were there. Also, one picky note -- the surfaces were dusty and the table was sticky. So that was a little off-putting. Overall we probably will go back for another casual meal, but won't have high expectations for service or cleanliness. Because it is vegan and the food is very good! Food taste good ,but some items were burnt. Customer service was good, but felt rush at times. Overall I would go back. The food was great and the server was also. I had a great experience with my family and definitely will be visiting again. 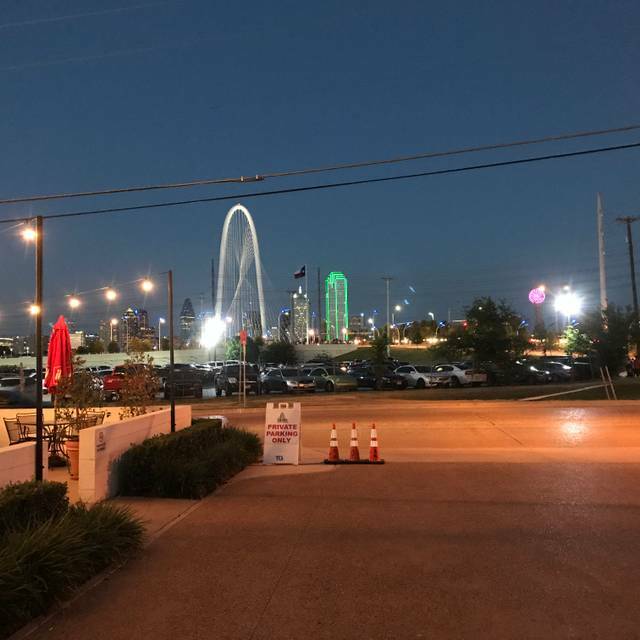 A beautiful restaurant in a really cool upscale area of Dallas. Fantastic, delicious healthy plant-based options! 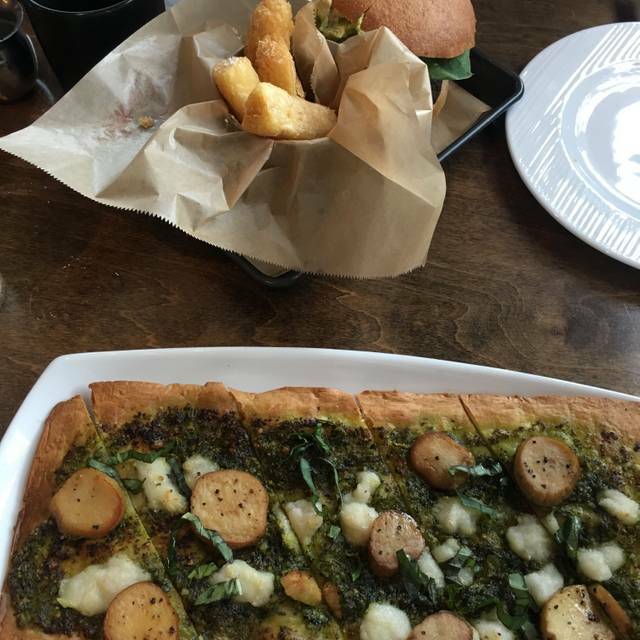 Excellent food, excellent service, and a wide variety of tasty vegan options. Great food. Great patio. Service was a bit lacking with our waitress. But overall great experience. 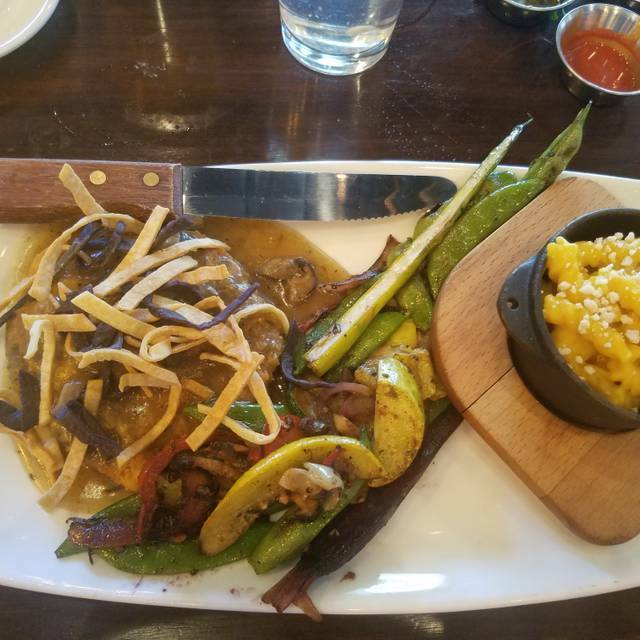 This was my first time at the restaurant and eating vegan food. The place was nice. Didn't care for the dog friendly environment on the patio, even though it's only limited to outside and wish they would look into providing some type of straw for the drinks. The service was VERY slow, especially since the place wasn't crowded, but once we were acknowledged the service staff was good. The food was very good, the Jack Ruby drink was DELICIOUS and I will return. When we arrived we stood there while at least 4 staff was standing by the bar and were not greeted at all. Then a man told one of the women to seat us, she didn't seem happy to do this and she sat us and handed us these disclaimers about not giving refunds if you don't like the food, so on and so forth and no menu. We sat there for sometime with no menu, and it was not busy, as we came when they opened and we had a reservation. We finally get a menu and all 3 menus had different items on them. And when we asked which was right, the waiter just said and pointed "that one" and walked away, he didn't even give us 2 more correct ones. We then find out even the "correct" one was still wrong. Anyway, we ordered drinks, they were decent. We ordered a waffle, the "Chicken" Fried Steak and the BLTA. One great thing about the food is it came out quickly, it was nice and hot and it looked really yummy. Although it looked appetizing... it was just okay. The waffle was decent but had some kind of after-taste, the fries too. The bacon on the BLTA was not crispy and was just okay too. The Impossible "chicken fried steak" was okay and we didn't eat it all, it fell apart. The tofu eggs were to soggy. The hash browns where the only good thing for me. My husband and daughter liked the fries though, cause they ordered 2 more sides of them, as we didn't finish the "Chicken" Fried Steak plate and my hubby was still hungry. I've been to MANY vegan restaurants, nationally and internationally and this one just does not cut it. We had brunch here and the food was amazing. My husband got the chicken fried chicken and eggs. I️ had the migas. Both were delicious. We ordered coffee which tasted fine but was luke warm at best. That was my only complaint. Not a big deal. Will definitely be back. Was there to celebrate my birthday but it turned out to be a bad experience. The server seemed uninterested in talking to us. He made us feel bad because he would gladly talk with tables around us but he avoided our table all together and said maybe two words to us the whole time. He would walk away without saying anything and without giving us a chance to ask for anything. He brought the wrong drink and didn’t apologize or give me any indication that he would fix it. The right drink came out when we had already finished our food and were ready to go. This was our first time here and we probably won’t be back. Very sad about my crappy birthday dinner. Even if you feel you have no room left, you MUST order the banana pudding dessert!!! Amazing, never tasted anything like it! Food is great, service is kind of slow but the wait staff is always friendly. Recommend making a reservation or you will have to wait a while for a table. Absolutely LOVED V-Eats. My husband and I shared the chili con queso and for meals we had the fried chicken sandwich (buffalo style) which was AMAZING, and the chicken fried steak with Mac and cheese which was equally as delicious. Our waiter, Ian, was very attentive and friendly. We had a wonderful chat. The only reason I gave the food 4 stars instead of 5 is because the veggies that came out with my chicken fried steak were cold. That was a bummer but over all, this place was amazing. I asked my husband if we could visit every weekend! The ambiance and service were great. We opted to sit on the covered patio under the heaters and it was comfortable and not as noisy as inside the restaurant. The food was tasty, flavourful and well presented. I found the "fried chick-non" to be overly salted but the mac n cheese was delicious. 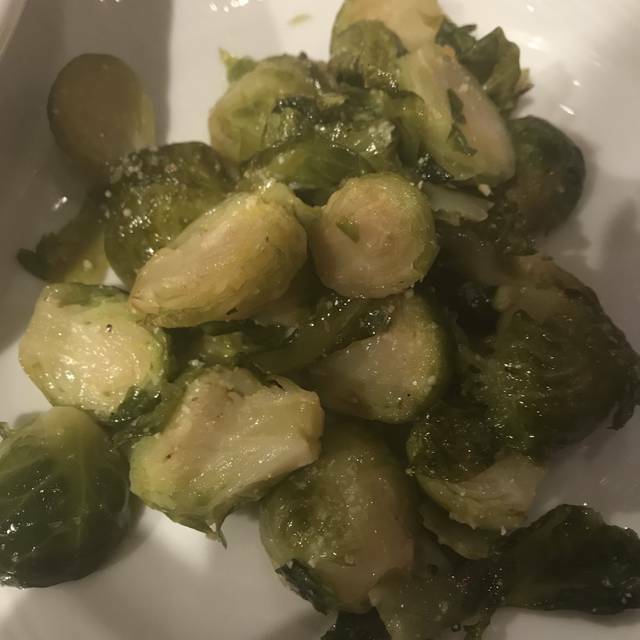 I would like to go back and try something different - the menu has many options and it's very exciting for me, as a Vegan to see a whole menu of food that I can order and eat. Really enjoyed the service and the unique vegan options! We will definitely be back the next time we’re in town. Not really. Food was expensive compared to the service and food received. 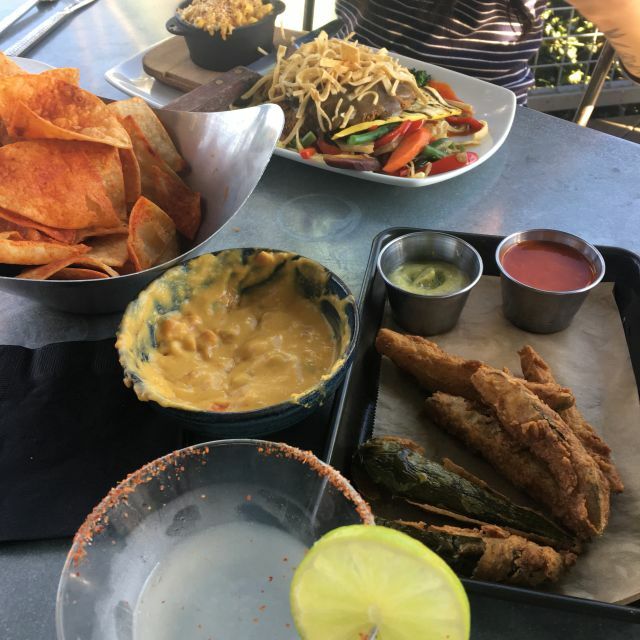 best vegan restaurant food-perfect date night spot. the banana pudding is TO. DIE. I live in Phoenix so I don’t get to Dallas but once or twice a year. I truly enjoyed the restaurant, food and the service everything was top notch 👌 looking forward to my next visit so I can come back. We enjoyed V-Eats very much. The space was a little small and therefore was a little loud. The service was very good and the food was awesome. It can be very hard to find a vegan restaurant so it is great to have a place to have a "fine" dining experience. Overall I would give V-Eats a 4.5 out 5 with the only draw back being the price. I felt it was slightly expensive compared to other Vegan restaurants. With that said I think vegans and non-vegans would enjoy a meal at V-Eats. EXCELLENT dishes & food at reasonable price w super helpful & friendly staff. A high-end vegan eating experience but you don't have to dress up. Not inexpensive but very good. A good way to treat yourself or someone special. A great menu - not just "veganized" standard fare. The dishes show creativity and a commitment to the culinary experience. Try it! As usual everything was on point. Love this place. The food was delicious but the menu was fairly limited. Service was great and this is a nice little restaurant for a small group dinner or date. Delicious! Food was awesome. I wish they had brunch everyday. So much fun, once in awhile, to eat things that are considered traditional comfort food! Everything was terrific! The chicken fried steak was delicious. I had the Texas state fair burger, which was loaded with guacamole and mac and "cheese" on top of the impossible patty. Also had the strawberry cake and "Butter" cream cake. Both of these come with vegan ice cream on top. The Butter cream cake is undeniably the best cake I've ever had. The staff was very helpful and pleasant too. We are always looking for a good vegetarian/vegan restaurant. This was a great find! Everyone was friendly; the menu had a lot of options; and the food was so good. We’ll definitely be coming back! So good. Definitely go only a minute or two before your reservation. But worth it. Valet park for $5 is worth it. V-Eats Modern Vegan did not disappoint. 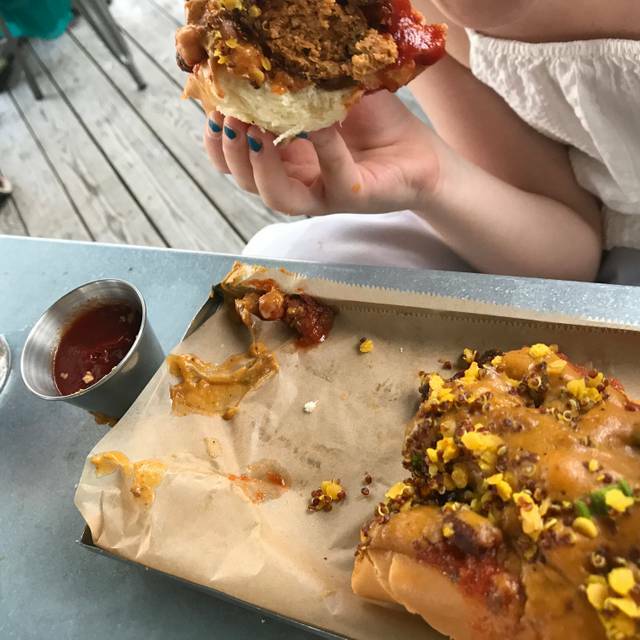 I was in Dallas for a work event and just googled vegan restaurants near my hotel, so i wasnt really sure what i was getting myself into. The restaurant is small and cozy. They have a patio for those who prefer outdoor dining. We ordered the queso to start. It was the most realistic vegan queso ive ever had. The chips that accompanied were well seasoned and psired well. For my main course i had the special: green curry Chickichanga. It was delicious. Flavorful, great textures, satisfying We finished with the strawberry cream cake. So decadent, so good! I highly recommend V-EATS even if you're not vegan. At just one year in to my vegan lifestyle, I chose this restaurant to celebrate my birthday. 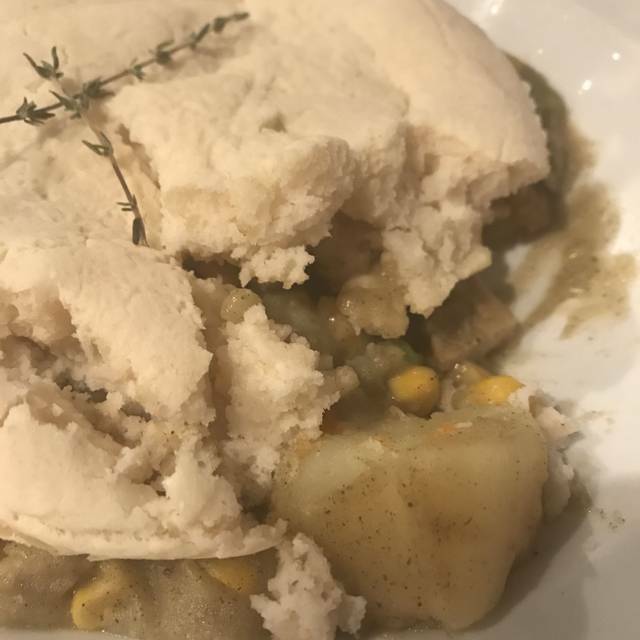 I was highly disappointed in the paucity of dishes highlighting beans, legumes, and vegetables, with more of a reliance of items like seitan, which I don't particularly enjoy. My son and I both ordered the bean patty, which was on the menu, and were told that it was not available. Also, although our party of 3 ordered cocktails, 3 appetizers, and 3 entrees, I was surprised to find that they wouldn't comp a dessert for my birthday. All in all, not a great experience, and we are not likely to return. Food was great. I am not vegan or vegetarian but loved the food. Chili con queso was quite good. I went with a party of 8 to celebrate a birthday. We had reserved 6 online but Troy, the chef, kindly helped accomodate us in anyways. Management was super nice and helpful. Our waiter, on the other hand, went from friend to enemy when we told him we were trying out vegan food for the first time. He labeled us omnivores and quickly became rude from there on out. He never brought out our drinks and instead resorted to have a drink himself. We were not aware of the no-straw policy and when we asked he rudely shunned us for asking even though my cup had lip stick stains from a previous guest. After 2 hours of never hearing from him, we finally ate. It was the longest wait ever. It was even more suspenseful because we had never tried vegan food before. The experience was bad and all my friends quickly decided against the vegan lifestyle. Our waiter ruined that for them and even me. The restaurant was crowded and attempted to accommodate by opening up the outdoor section on a very cold and raining night. Would go back if heat and seating arrangement was adequate.